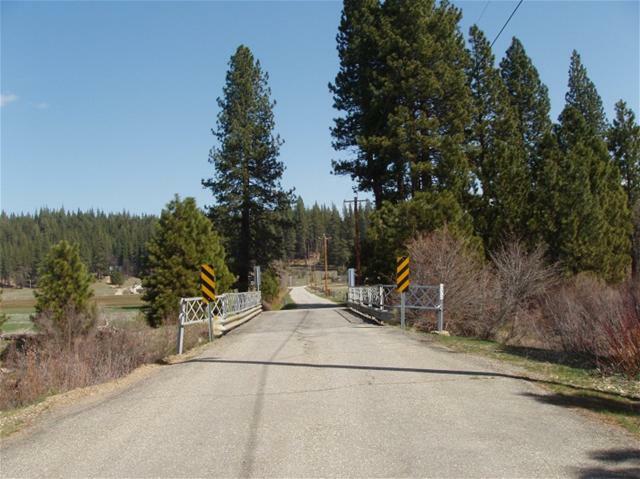 Plumas County has chosen to replace the Spanish Creek Bridge on Spanish Ranch Road (County Road 413). The bridge replacement is eligible for Federal funding under the Highway Bridge Program (HBP). The existing, single span bridge was built in 1950 and is approximately 50–feet long and 14-feet wide. The bridge deck is laminated timber decking with AC surfacing carried by five steel stringers that are supported at each end on vertical concrete abutments. The abutments are supported on spread footings and have flared wingwalls to retain approach roadway fill. The somewhat unique bridge railings are comprised of steel posts supported off the exterior stringers that carry metal beam guard railing with steel lattice above. The bridge spans Spanish Creek which is somewhat restricted through the bridge opening. The purpose of the proposed project is to improve public safety and address the structurally deficient bridge. The most current Caltrans Maintenance Report (dated October 15, 2009) indicates that the existing bridge is structurally deficient with a sufficiency rating of 31.2. A bridge with a sufficiency rating of less than or equal to 50 that is also structurally deficient or functionally obsolete is eligible for replacement under the federal Highway Bridge Program (HBP). The County proposes to build a new two-lane bridge with a minimum width of traveled way of 26 feet. The bridge length will be governed primarily by hydraulic considerations and is expected to be a two-span bridge approximately twice the length of the existing bridge. The existing bridge as the existing hydraulic opening is a constriction to flow and causes streambed instability. 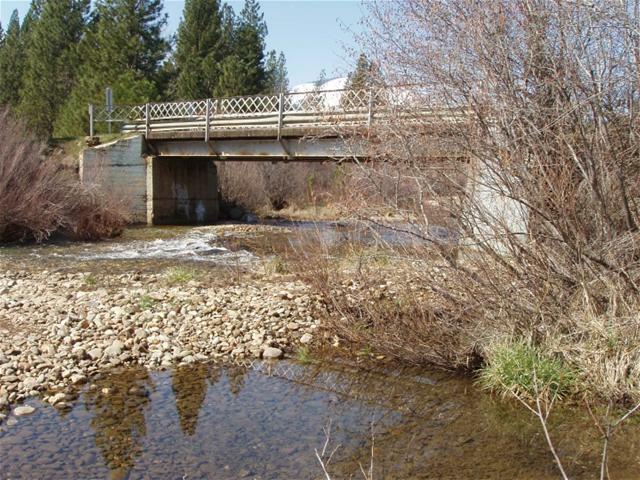 Coordination with the Feather River Combined Resource Management is taking place as they have a vested interest in the creek’s hydraulic and environmental characteristics. Traffic is expected to be detoured away from the bridge during construction utilizing an existing access to the creek that could serve as atype of low water crossing. This crossing (pictured) will need to be improved to accommodate large gravel trucks and emergency vehicles. 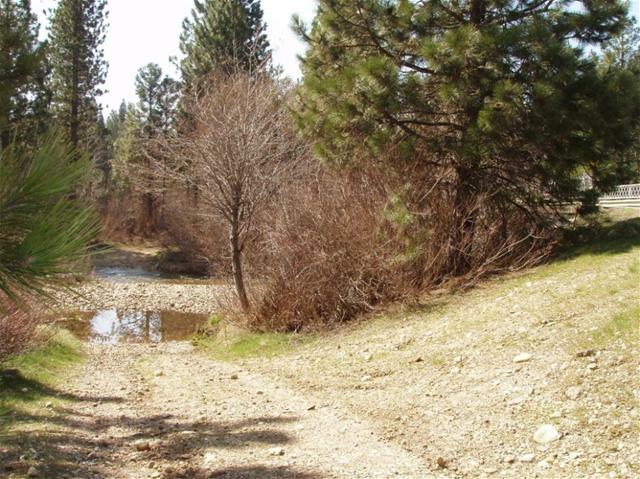 It is expected that the detour roadway through the creek will be constructed with clean gravel and possibly temporary piping to carry any low flow that may occur during construction. This detour will also serve as access into the creek for construction equipment. The new bridge is anticipated to be constructed of precast concrete elements supported on cast-in-place concrete substructures founded on pile supported foundations. Piles will be either drilled or driven piles. The new bridge will occupy the same alignment and is anticipated to be a two-span bridge utilizing precast concrete girders. The piles are likely to reach depths of 50 to 60 feet, and will support buried pile cap footings. Some temporary relocation of overhead utility lines along the east side of Spanish Ranch road is anticipated. Construction is expected to take approximately 4 to 5 months. URS Corporation in Roseville is the prime consultant for this project.